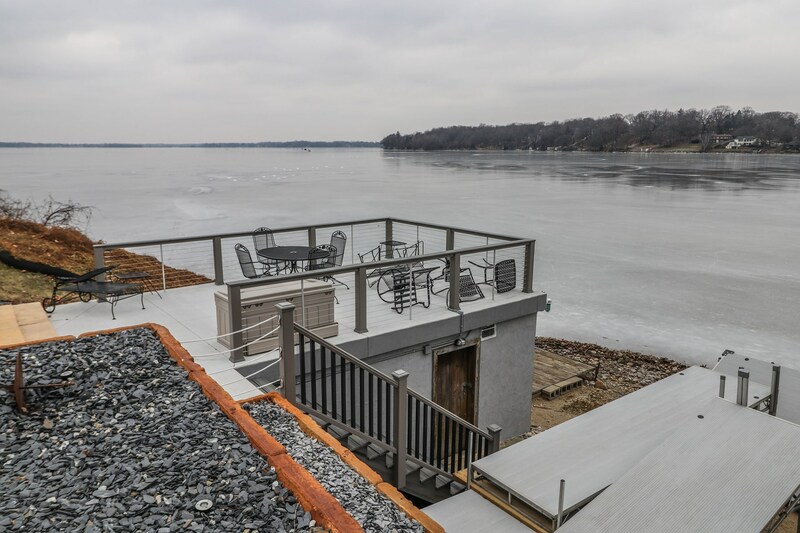 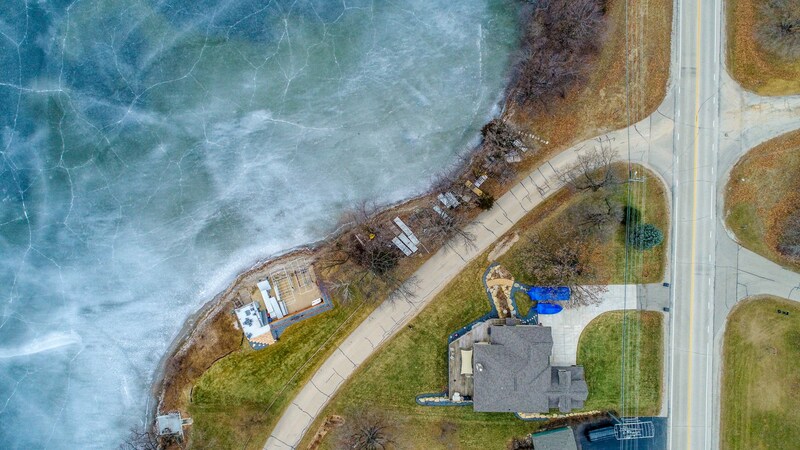 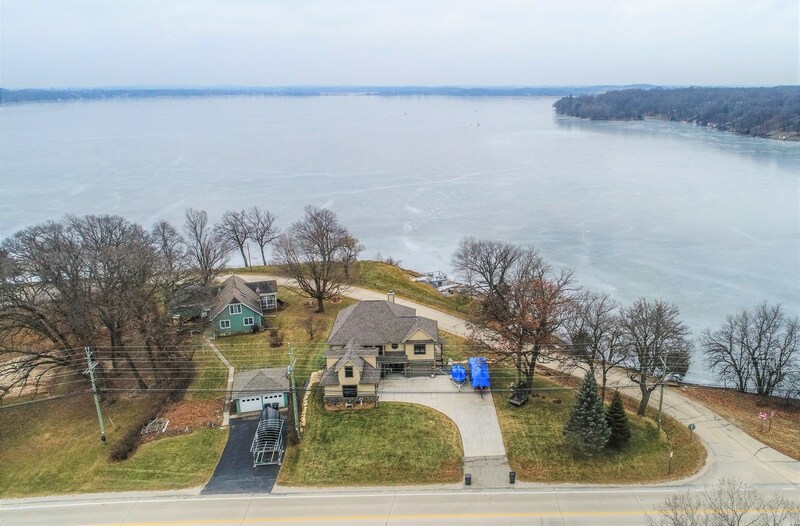 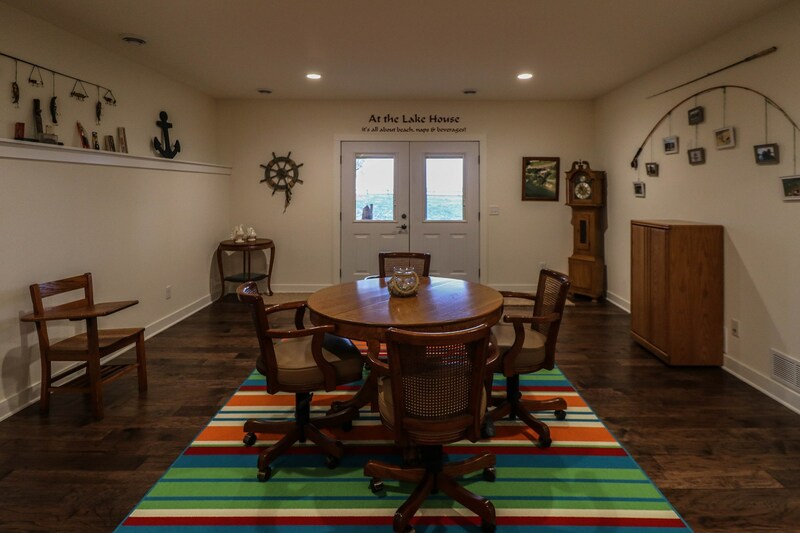 The open living plan on the main floor provides panoramic lake views from the living room to the kitchen creating the perfect entertaining space. 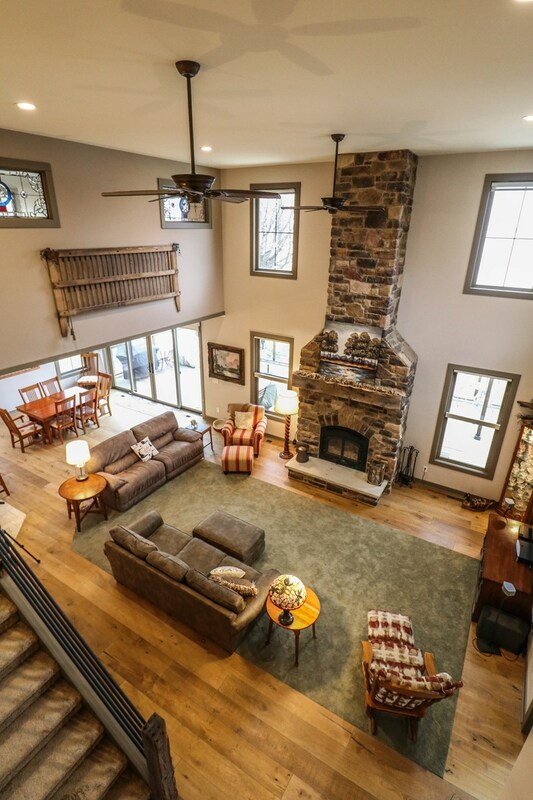 The 2-story stone Quadra-Fire wood burning fireplace creates a warm and inviting atmosphere to enjoy year-round. 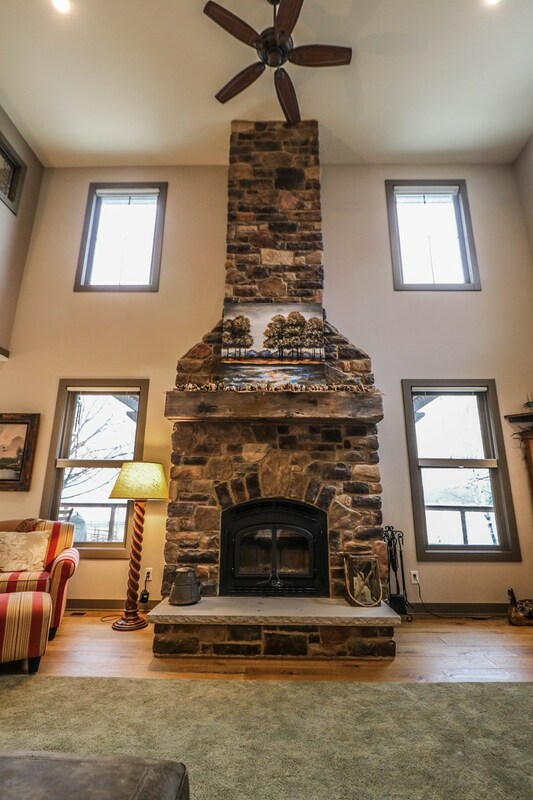 The stunning wood mantle is made from a 100+ year old White Pine that blew down during a tornado. 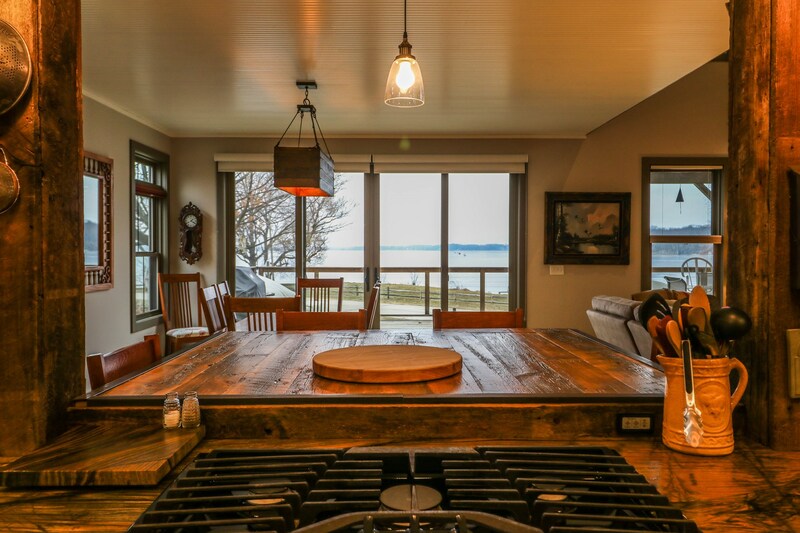 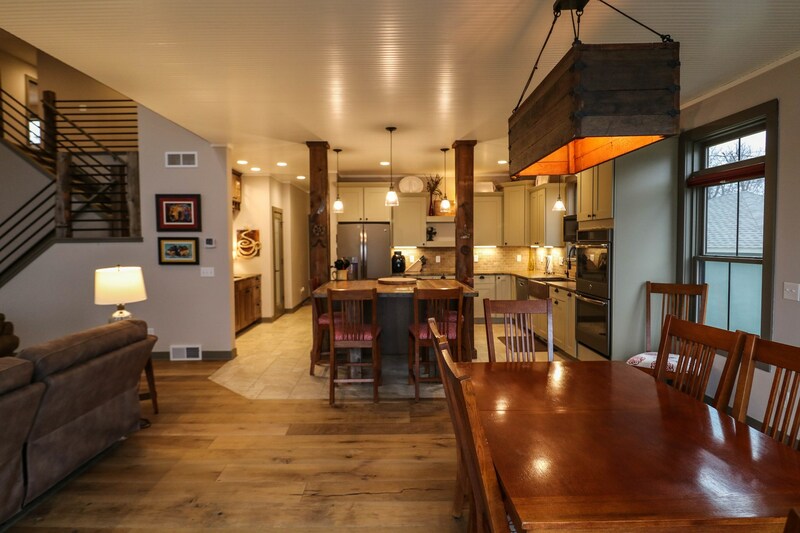 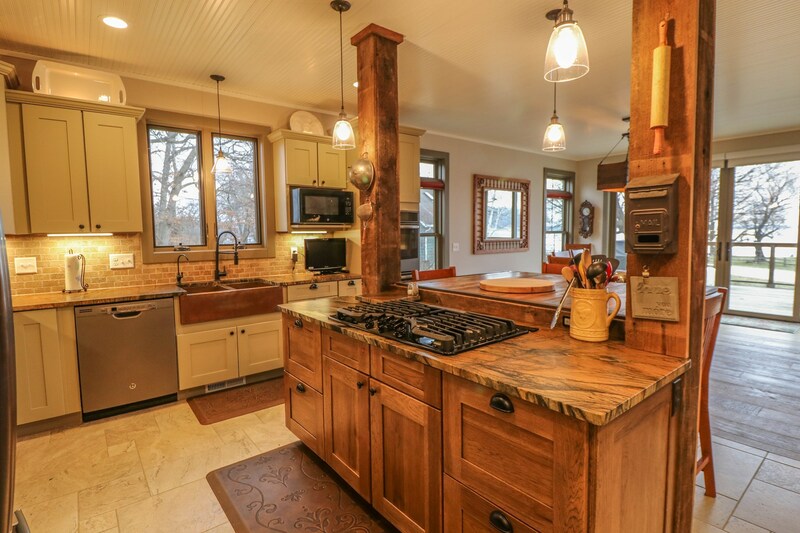 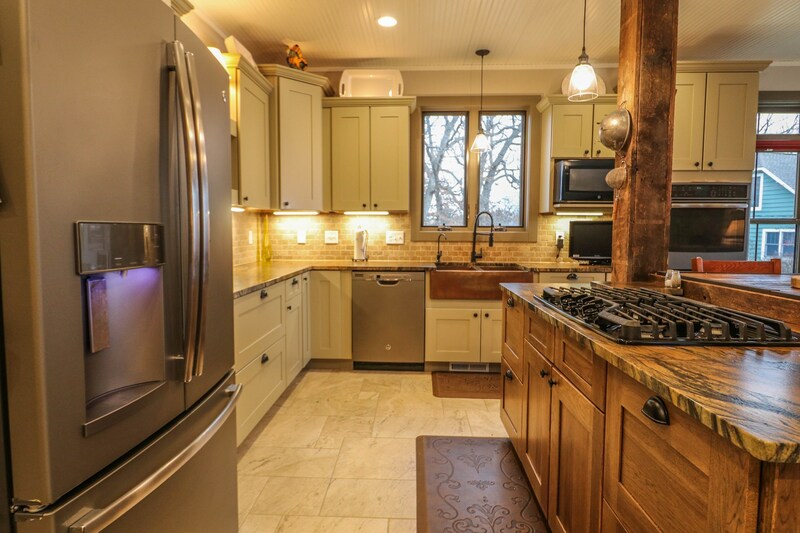 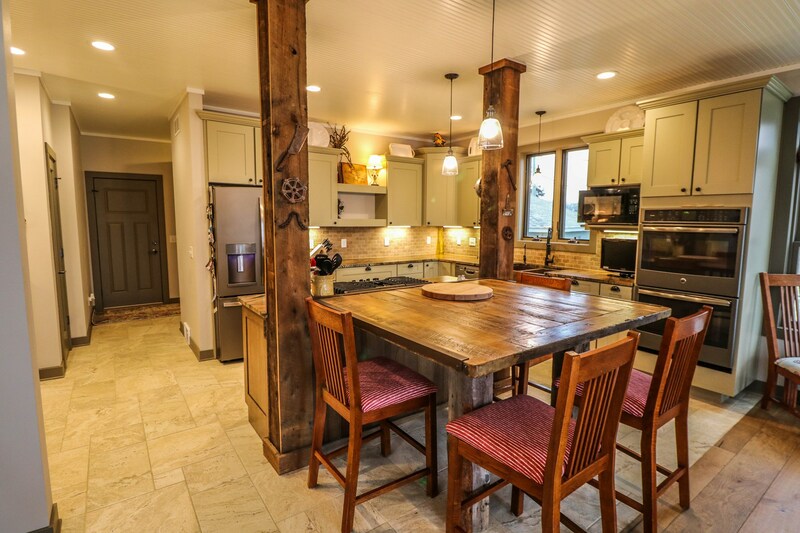 The gourmet kitchen is designed around the custom reclaimed wood kitchen island made by Johnathon Malm in Merrill, WI. 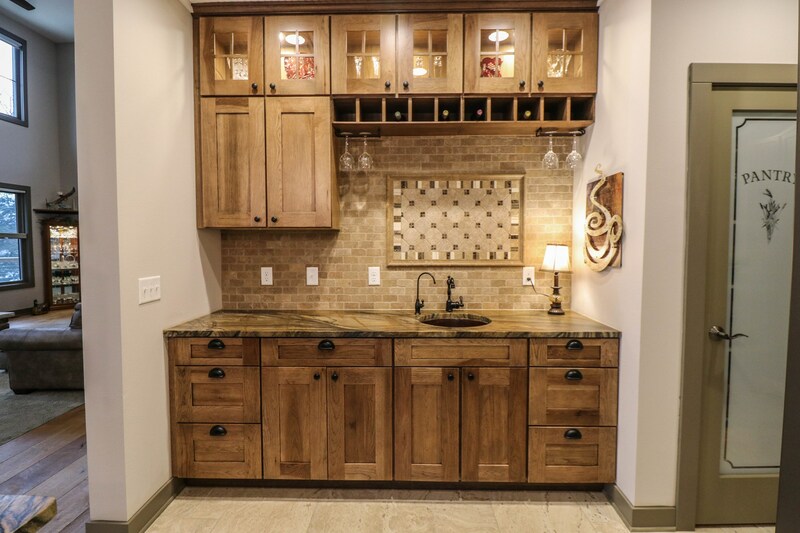 This kitchen features Norcraft Cabinetry, pantry storage, top of the line GE appliances including a gas stove and double ovens, as well as copper sinks and one of a kind granite counter tops throughout kitchen and wet bar. 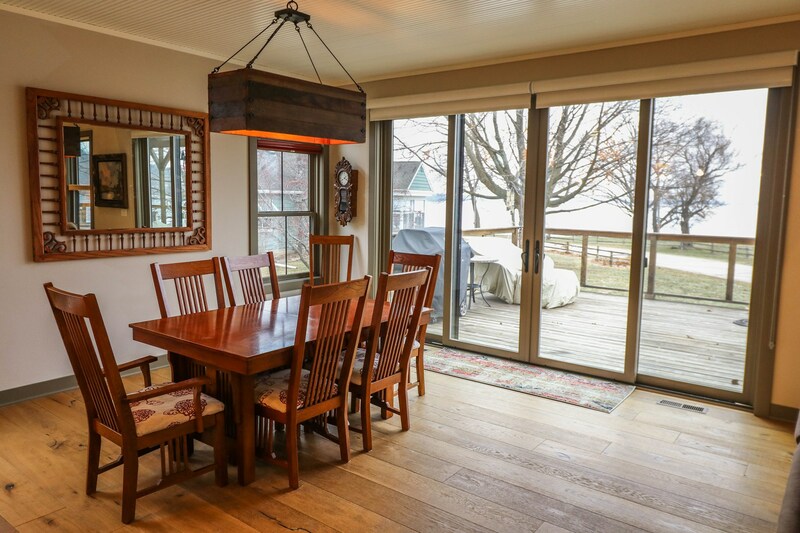 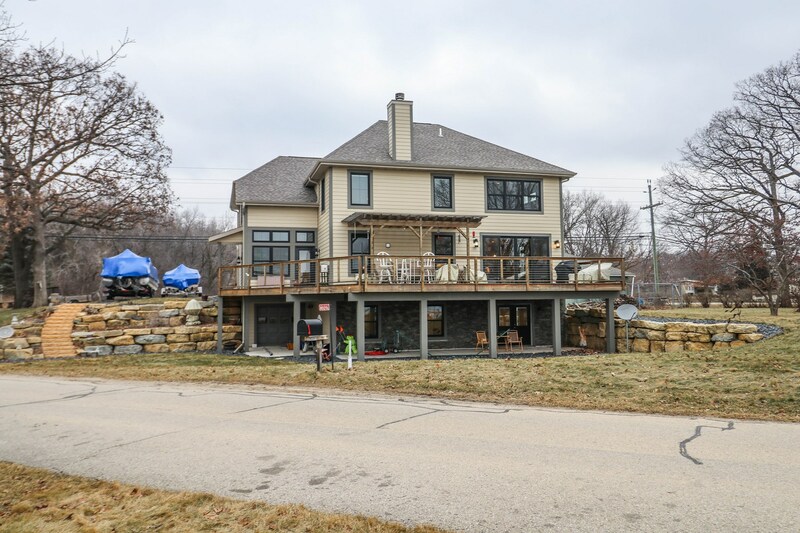 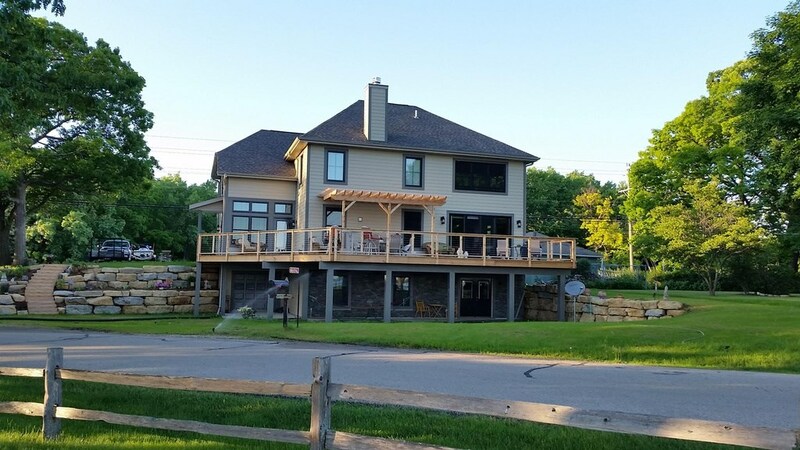 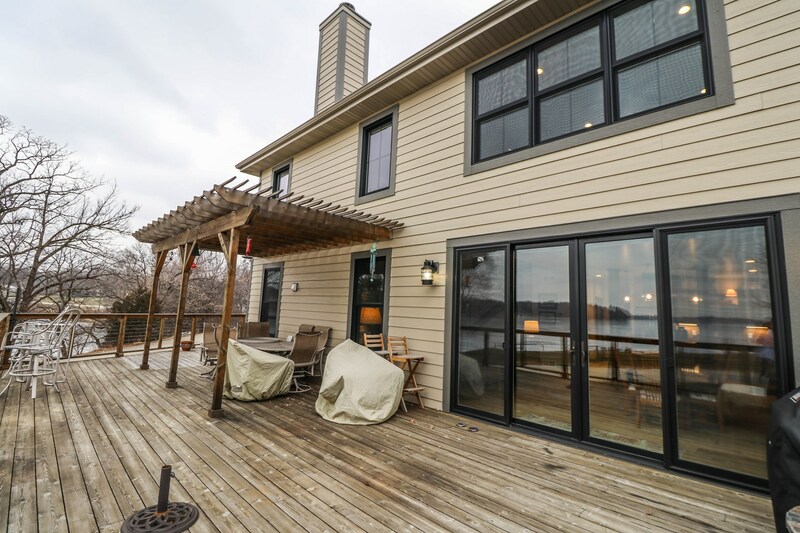 The dining area looks out over the yard and waterfront from the wall of glass which opens to the wrap around deck leading to the sun room and complete with a pergola. 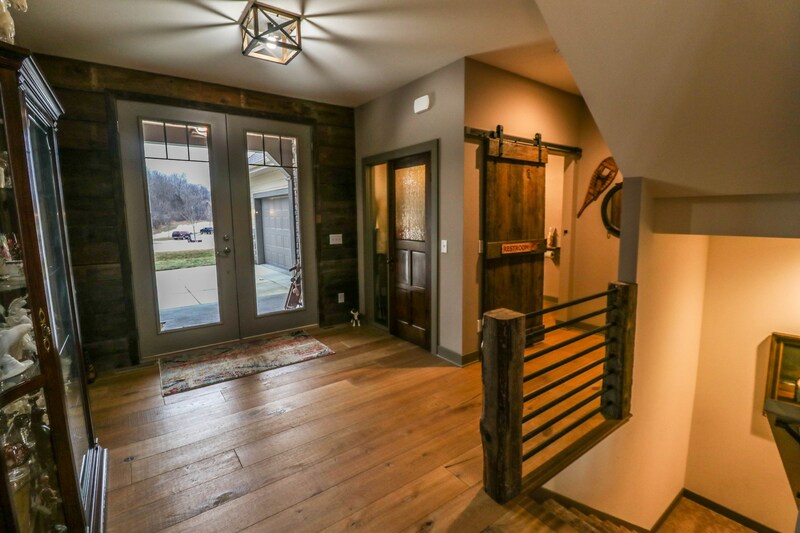 The distinctive reclaimed wood stair case leads you the upper floor overlooking the living space below. 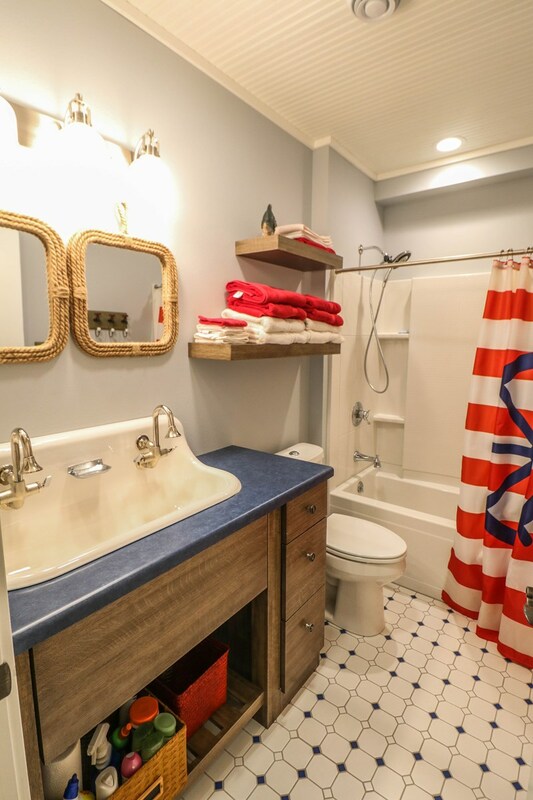 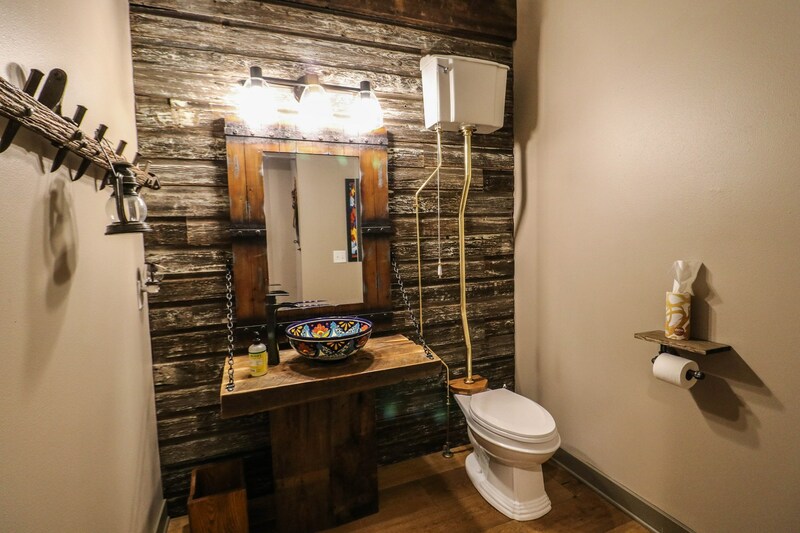 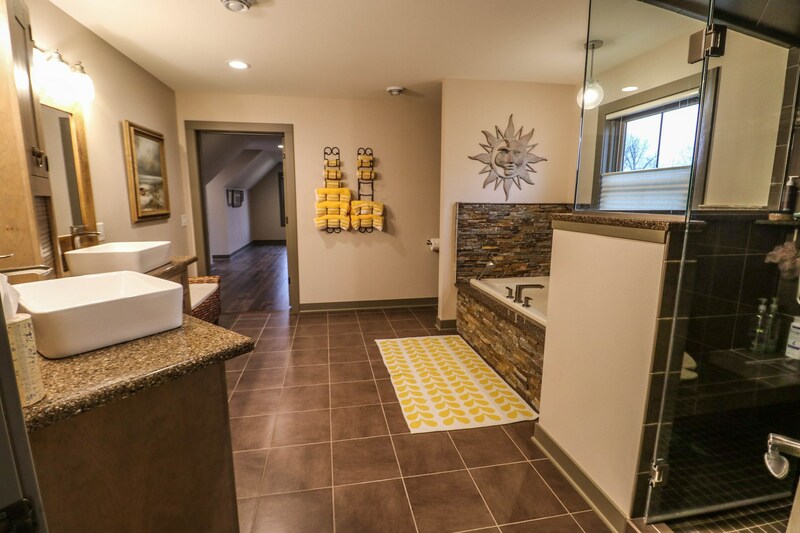 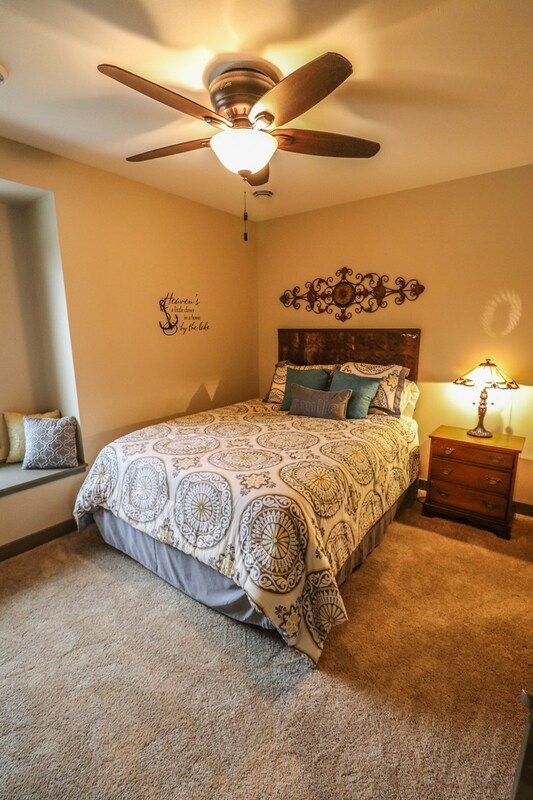 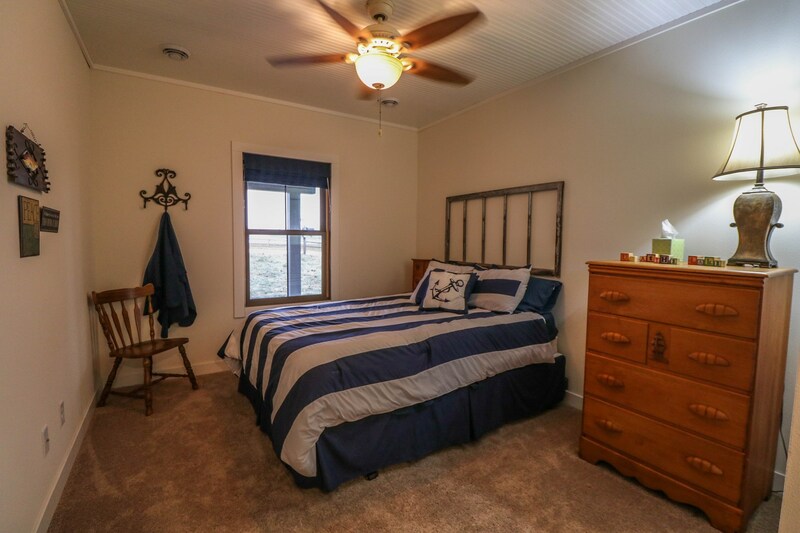 3 bedrooms and a full bathroom provide spacious accommodations. 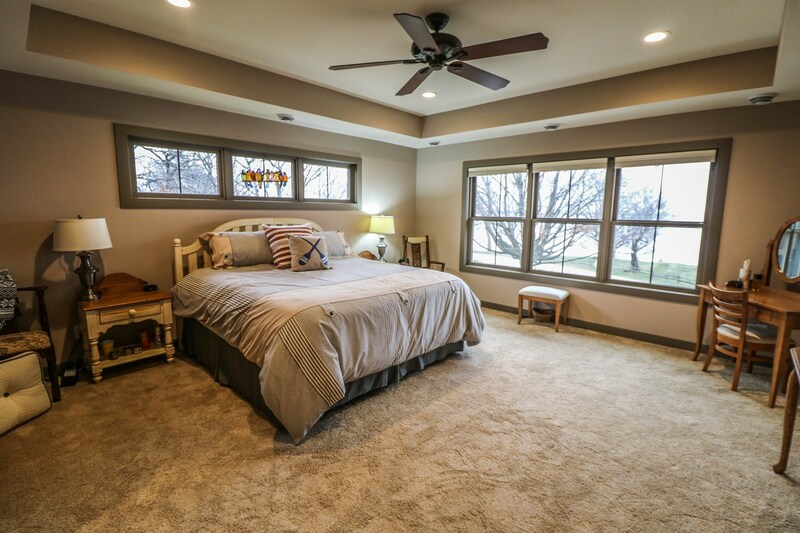 Zoned temperature control provides this floor with their own furnace and air conditioning. 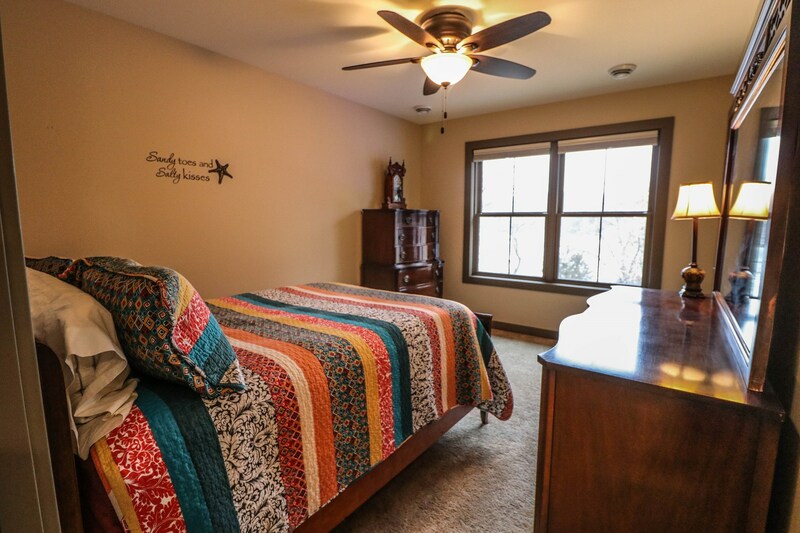 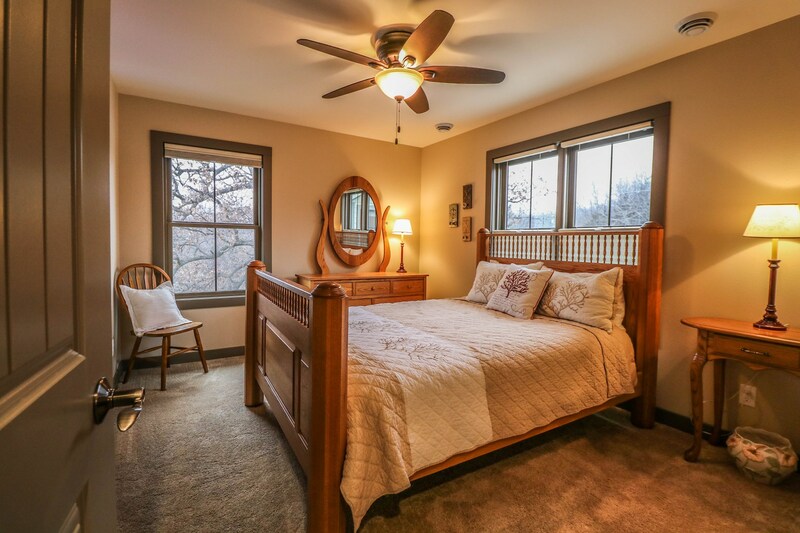 The expansive master suite includes a picture perfect Southern view over all of Rock Lake and added privacy with a beautiful reclaimed barn door. 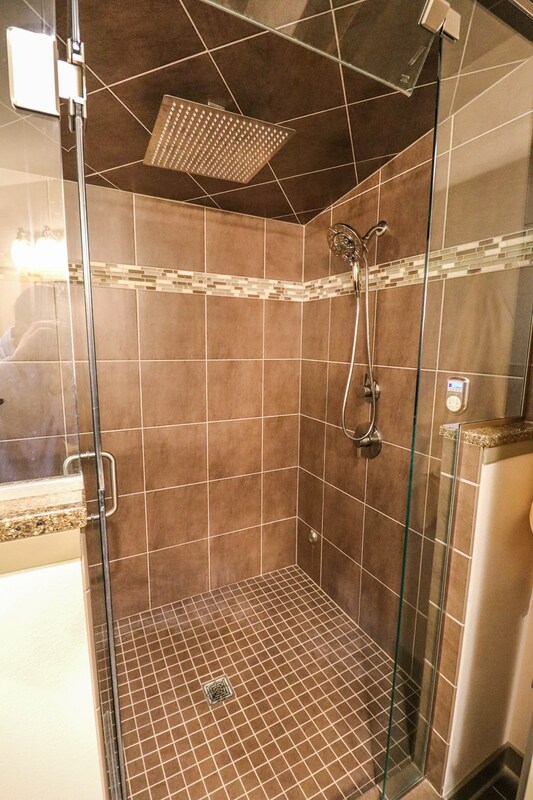 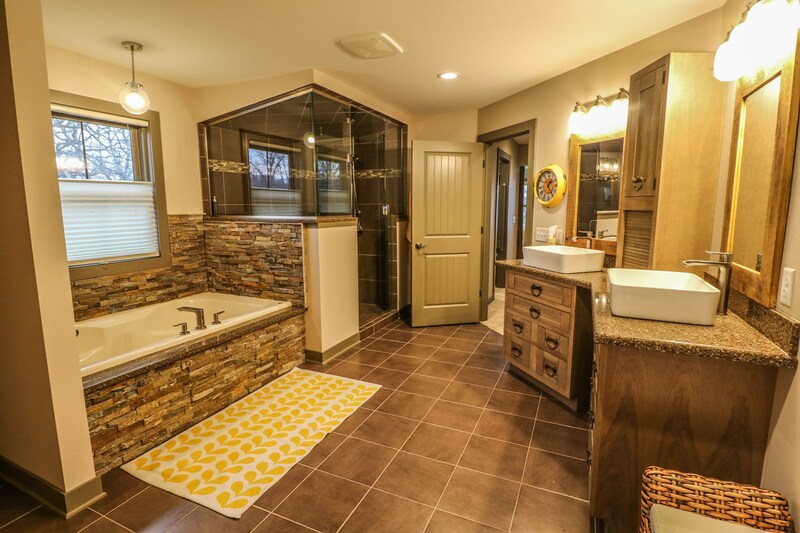 The master bathroom provides the spa experience with an amazing tile rain shower complete with steam features in addition to the Jacuzzi jetted tub with hand shower. 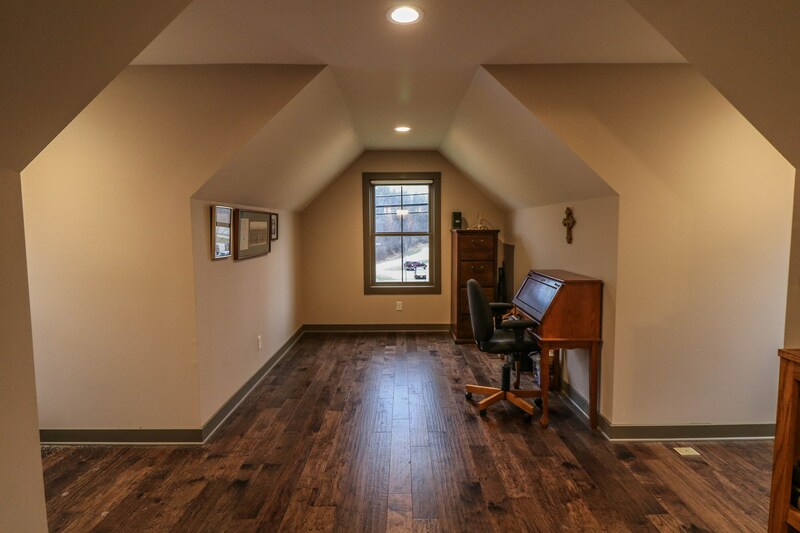 2 closets plus a sizeable bonus room space from the bathroom offers a multitude of options from additional closet storage to office space and more, just bring your ideas to make this master suite the perfect fit! 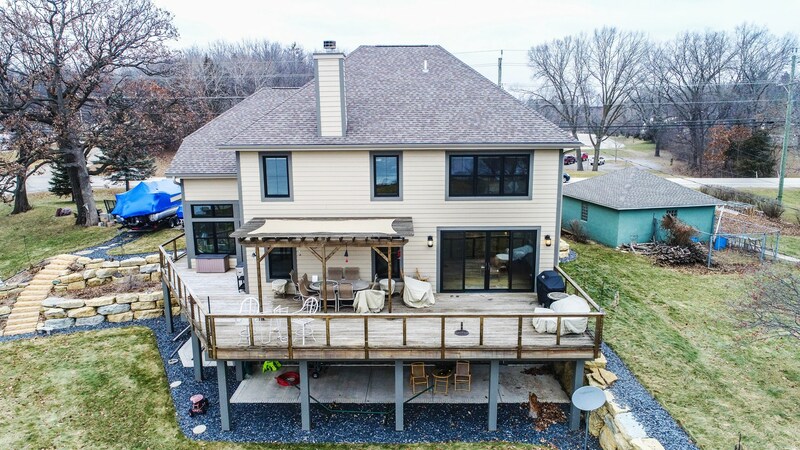 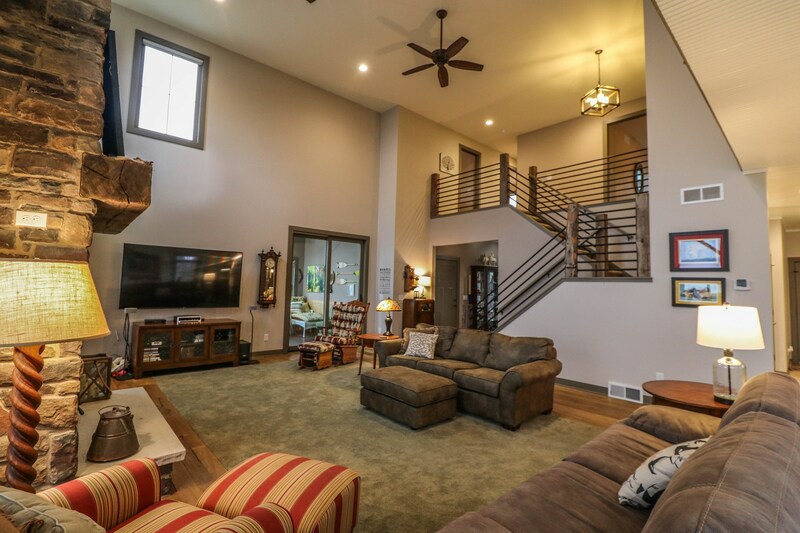 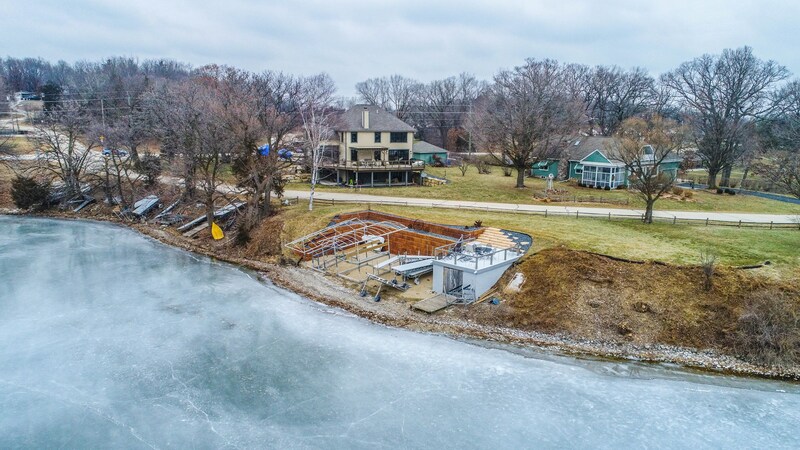 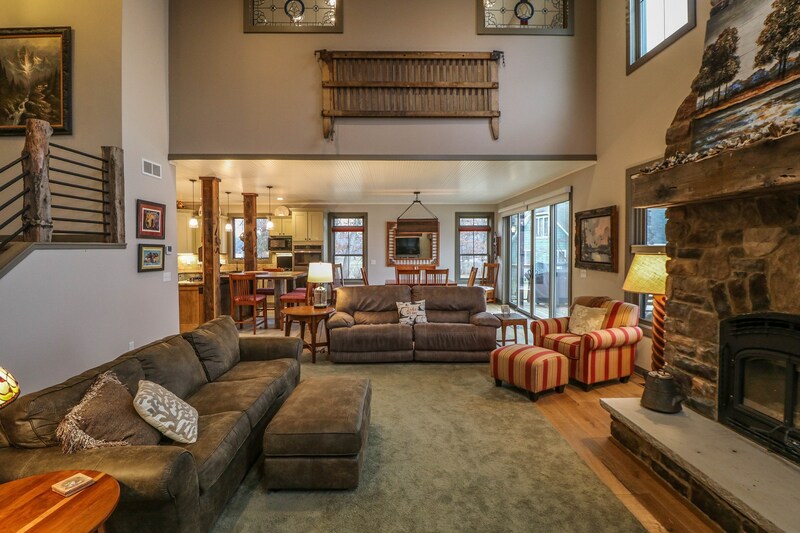 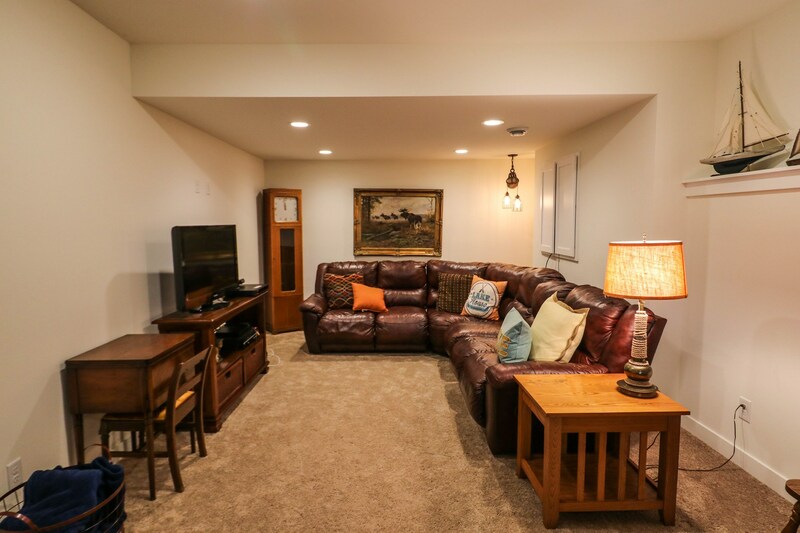 The lower level, complete with walk out to the back yard, provides an additional gathering space with a cozy family room and rec room area offering endless possibilities. 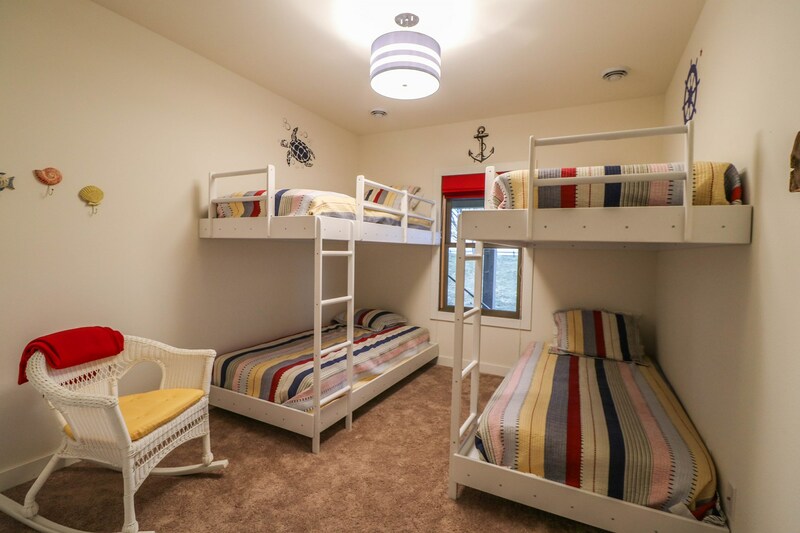 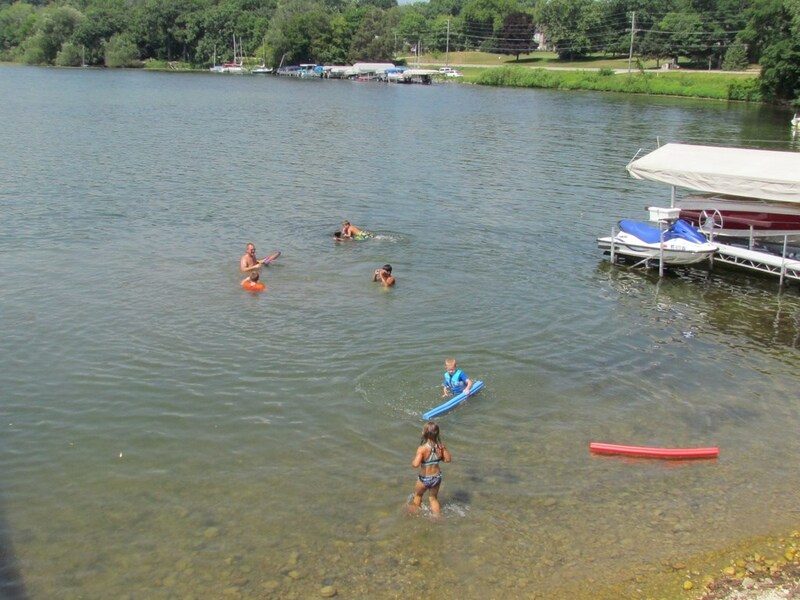 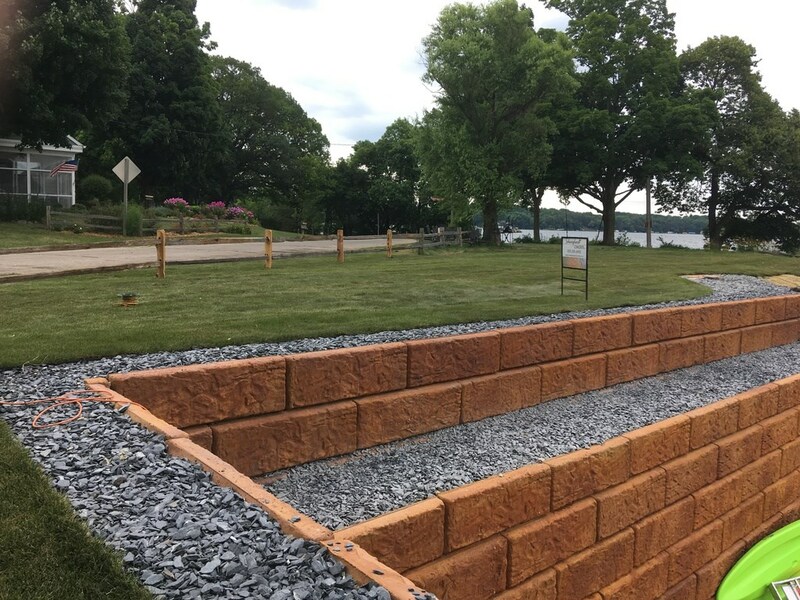 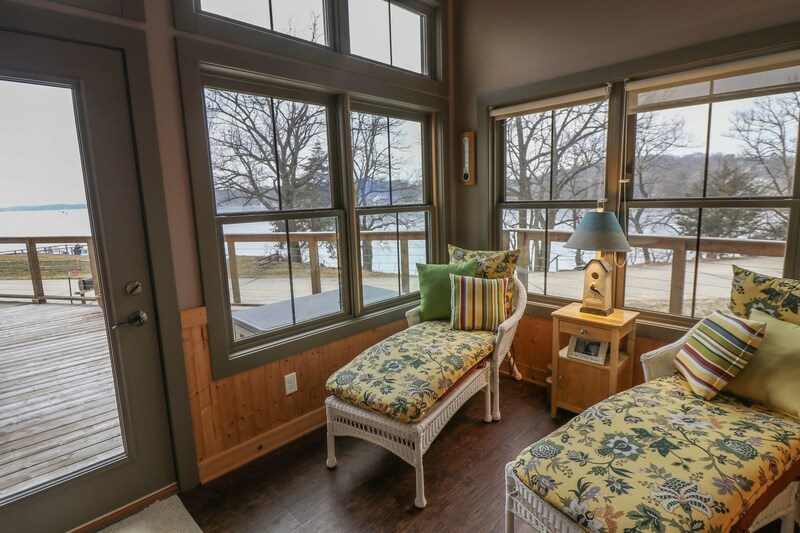 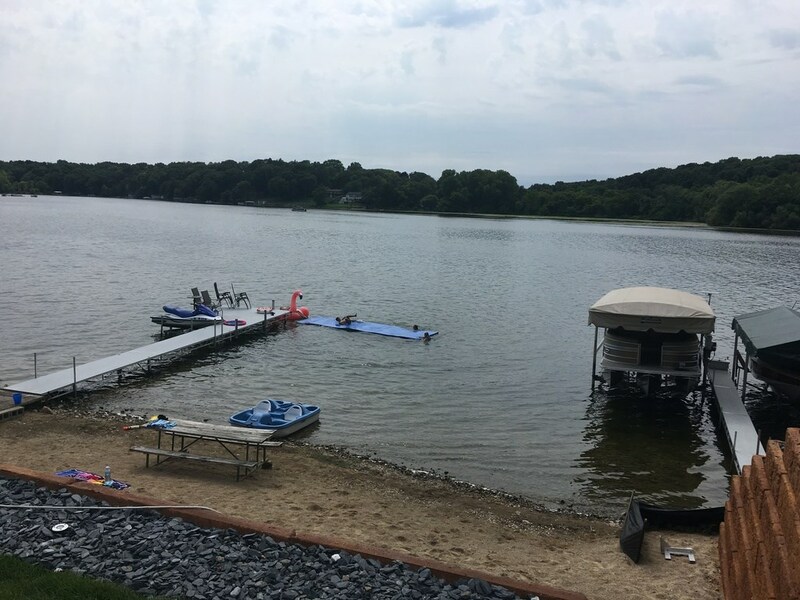 A full bathroom and 2 bedrooms, one with built in Bunks and both with large closets, offer your family or guests lakeside views as well! 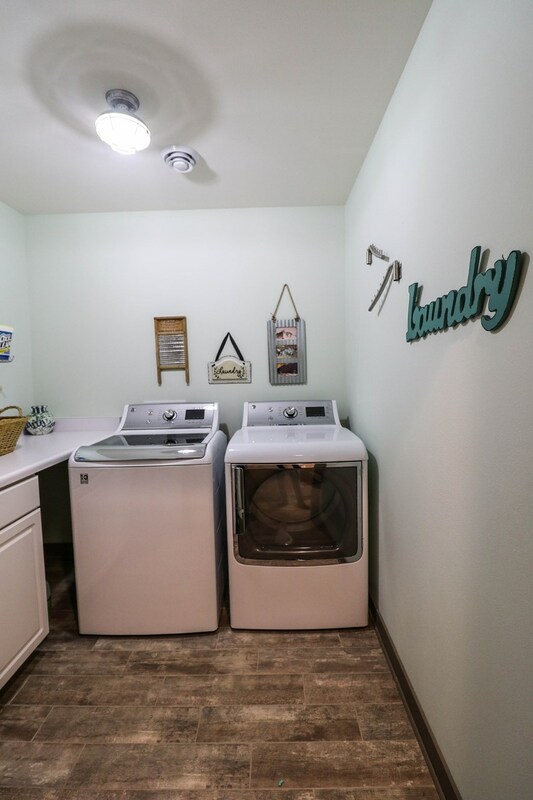 The large utility room has plenty of room for storage aside from the mechanicals which include the main furnace, air conditioning, water heater and a water distiller thatprovides fresh delicious drinking water to the wet bar, small faucet at the kitchen sink, and refrigerator for ice cubes and water. 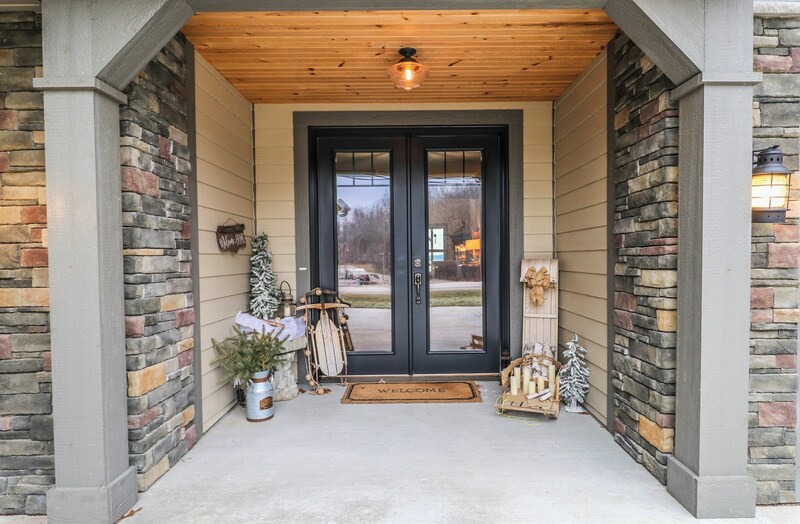 The door from the utility room to the lower level 1-car garage has full access from the back yard. 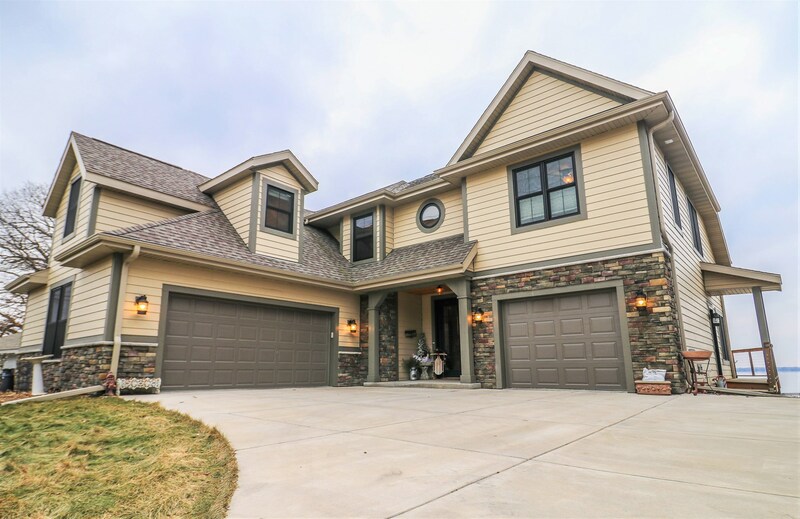 Additional finishes sure to catch your eye throughout this impressive home are the wide plank wood flooring, bead board ceilings, drawer pulls unique to each room, and custom stained-glass windows from the master bedroom. 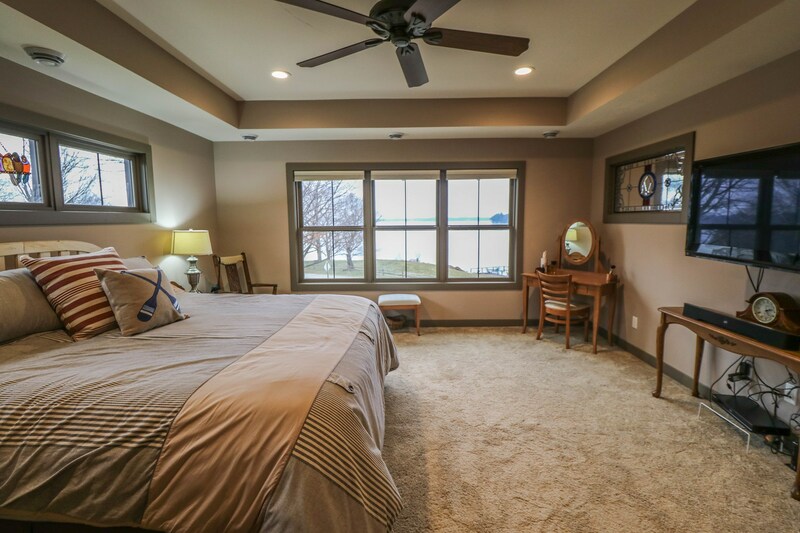 High-end window coverings includepower solar shades in the living room, top down-bottom up shades in all bedroom windows and solar shades on the French doors from the dining room and sunroom! 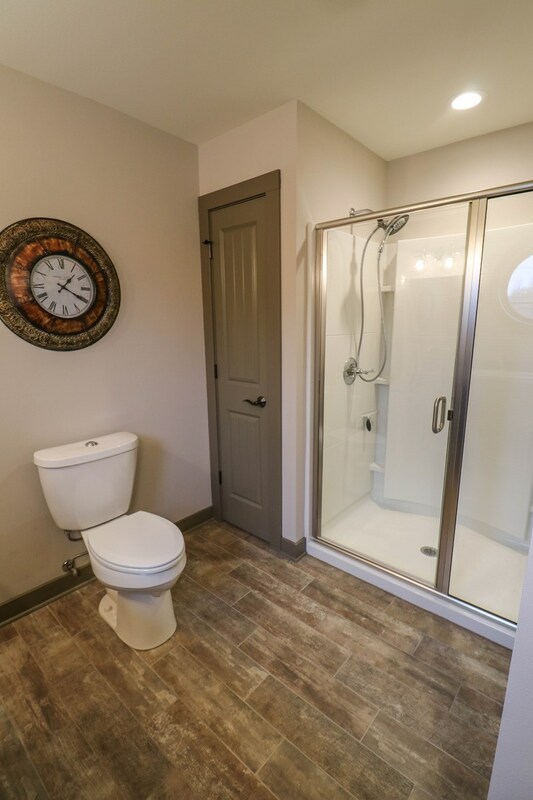 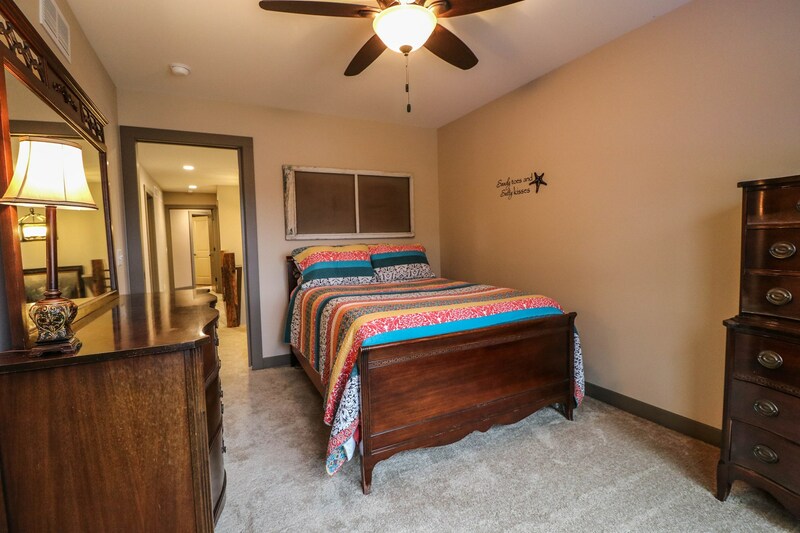 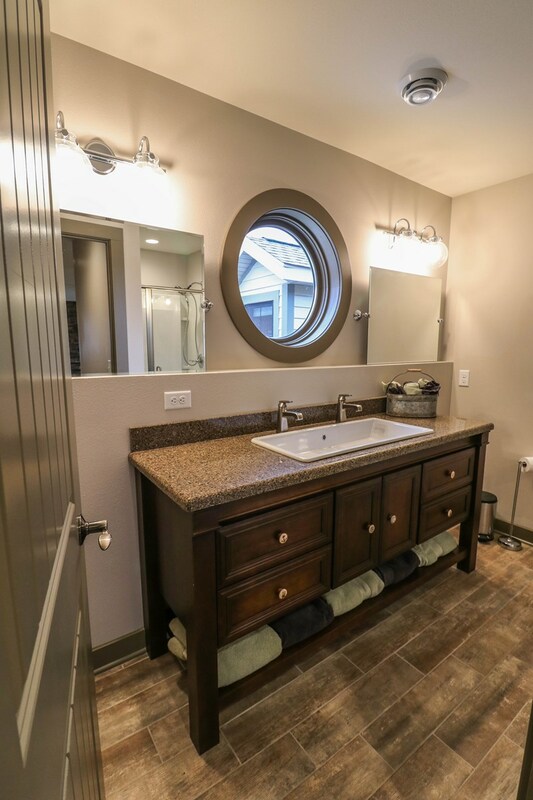 All doors throughout the home are solid wood core quality doors.The laundry room has convenient location close to all of the bedrooms upstairs.